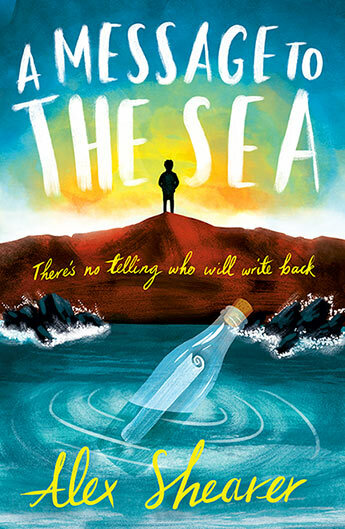 Themes of life, death, and loneliness; the power of faith, and power of the sea, are captured in this brilliant haunting novel by Alex Shearer. Full of mystery and incredibility, A Message to the Sea holds you enthralled from first to last word. It has been a year since Tom’s seafaring dad was lost at sea. His grandfather was lost the same way. Tom is finding it hard to accept his father’s absence from his life, regardless of all the evidence. He wants answers to his what ifs. So he goes to the source - the sea. He decides to send off some messages in bottles, believing one of them at least will be found. By whom, he doesn’t know. But he waits and watches and calls to the sea, until he actually does get a reply. But not the one he expects. I loved this novel. The language is magic on the page; expansive without being exhausting. Shearer’s images are wild like crashing waves; emotive and vivid. I was swept into the depths of a fantastic storyline powerfully written, and a mystery sustained at a superior level. The character Tom is stunning. The descriptions of the sea town and its inhabitants are as clear as a reel of film rolling before my eyes. Find the tissues and get ready to be surprised.